Hey Everyone, I am clearly on a cupcake “bender” lately. 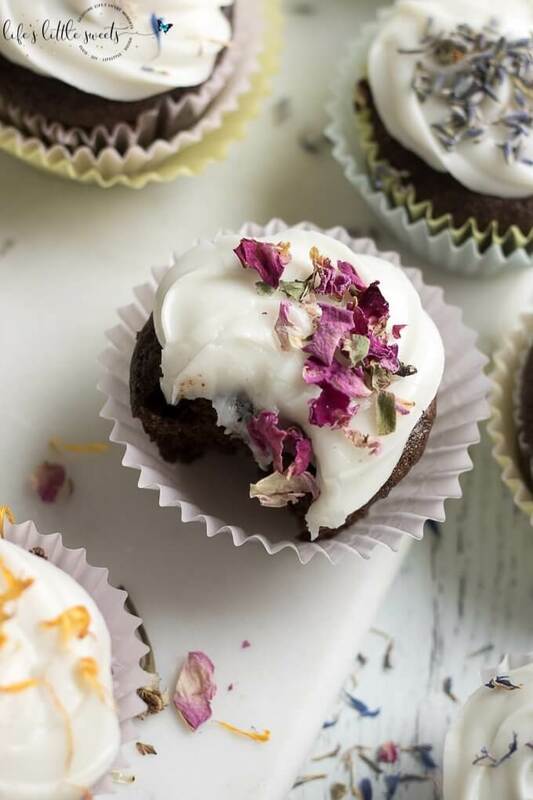 I don’t know why because for the past 3+ years that I have had this blog, I haven’t done a whole lot of cupcakes but maybe that’s what was missing in my life. 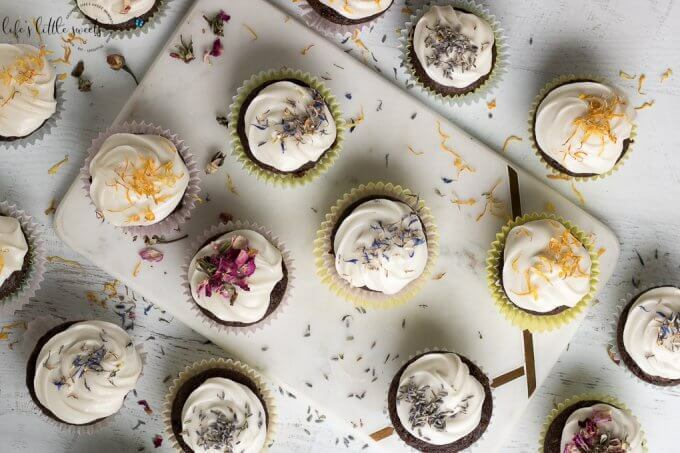 To me, cupcakes are literally, the icing on the cake – so to speak. As I think about it, my children are now 6 months old and nearly 4 at this point, I am in my mid-thirties (36 is still mid-30’s, right?! ), in this coming July, Eric and I will have been married 7, yes 7 YEARS. It’s amazing. This is my time to seize the moment and “crush it” as they say. 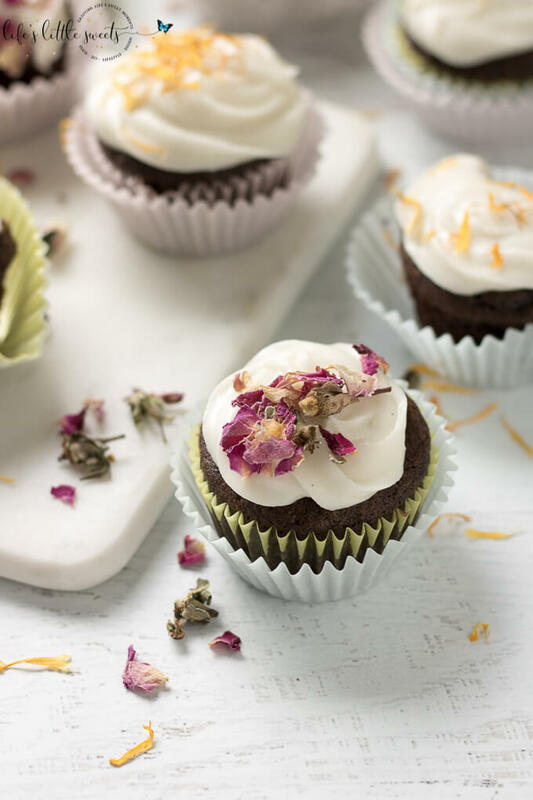 Well, I am totally ready and as I do that I will be “crushing” one of these lovely Dairy Free Chocolate Cupcakes. I started making dairy-free recipes when Eric and I got together because he’s lactose intolerant. Together, we are always looking to go more plant-based in our diet, as a general lifestyle. 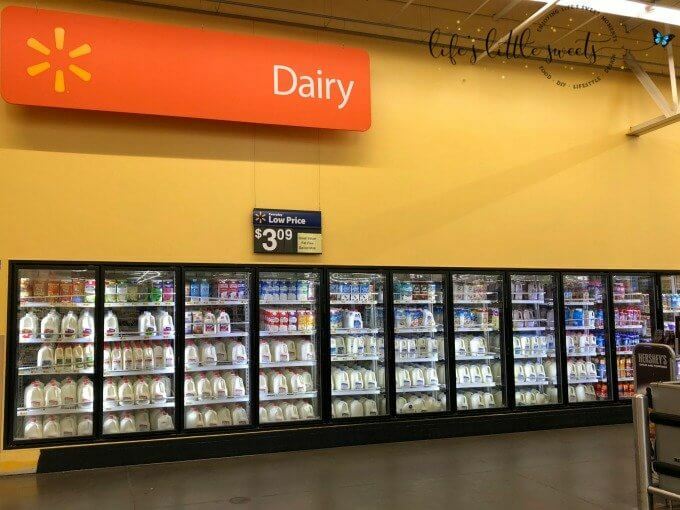 I, personally, am not completely dairy-free because I do not have to be but since I make nearly all of the food we consume in this household, I want to be able to make dairy free recipes that everyone can enjoy. 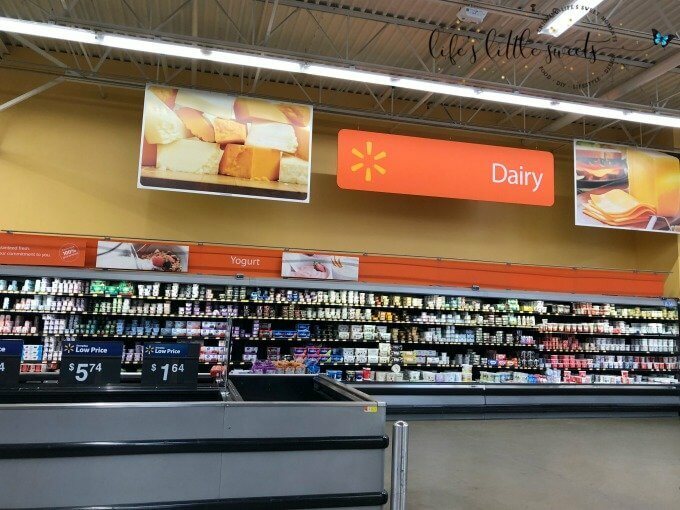 I found Silk All Natural Unsweetened Almond Milk in the Dairy section at Walmart. Silk is dairy-free and lactose-free. 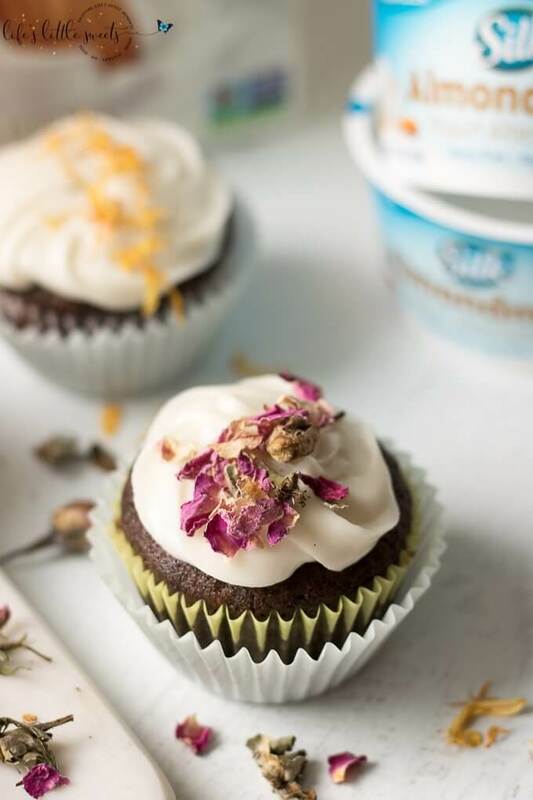 I love the creamy texture and taste of both the All Natural Unsweetened Almondmilk and the Vanilla Almond Dairy – Free Yogurt Alternative. 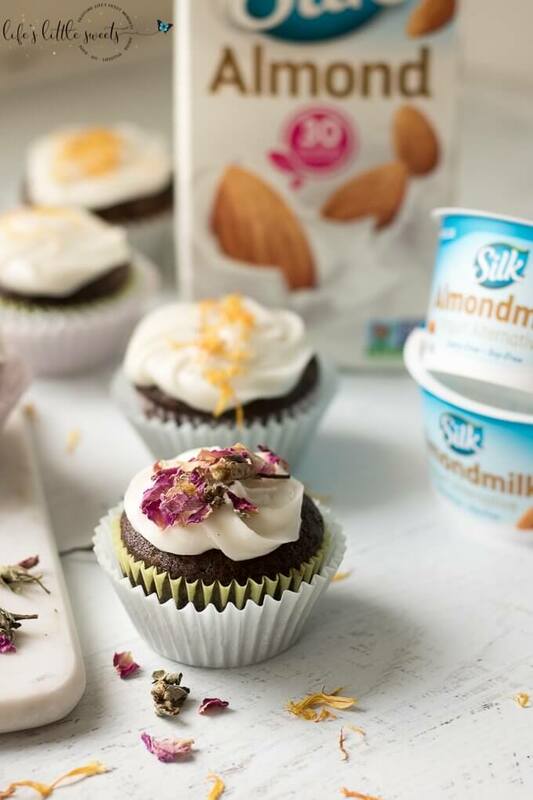 As I adapt my favorite recipes to be dairy-free for our family, these Silk products help me to seamlessly do that. 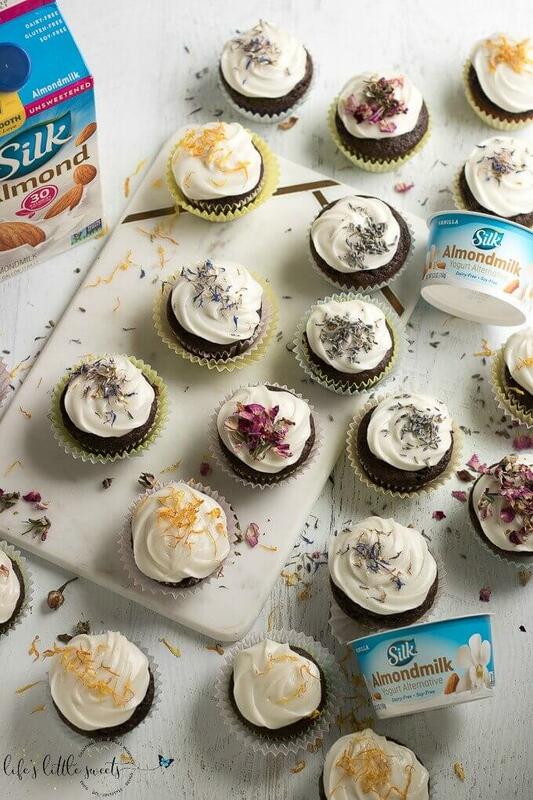 Silk Vanilla Almond Dairy – Free Yogurt Alternative can be found in the Dairy section of Walmart. optional: large cookie scoop for scooping the right amount of batter into the cupcake liners – this tool is extremely helpful for measuring the right amount and something I use all the time! Make sure to fill the cupcake batter half-way (for 20 cupcakes) or 2/3 of the way in the cupcake liners. 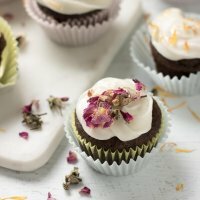 I know you will love these Dairy Free Chocolate Cupcakes! In a large mixing bowl, add the dry ingredients: flour granulated white sugar, cocoa powder, baking soda, baking powder, salt and mix until combined. 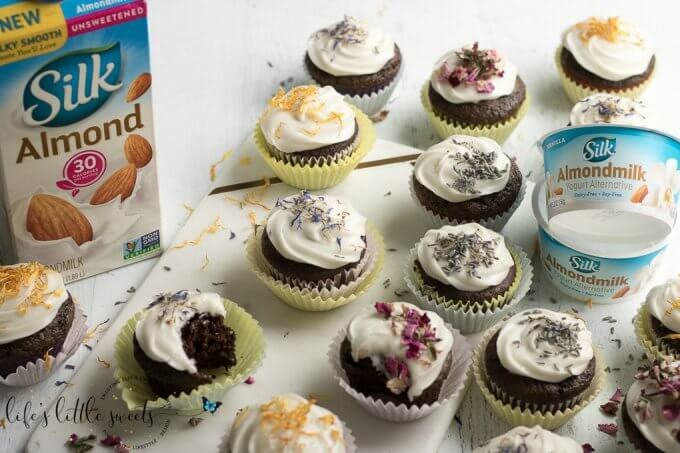 Add wet ingredients to the dry ingredients: 2 eggs, Almondmilk, Silk Vanilla Almond Dairy – Free Yogurt Alternative, Canola oil and vanilla extract. 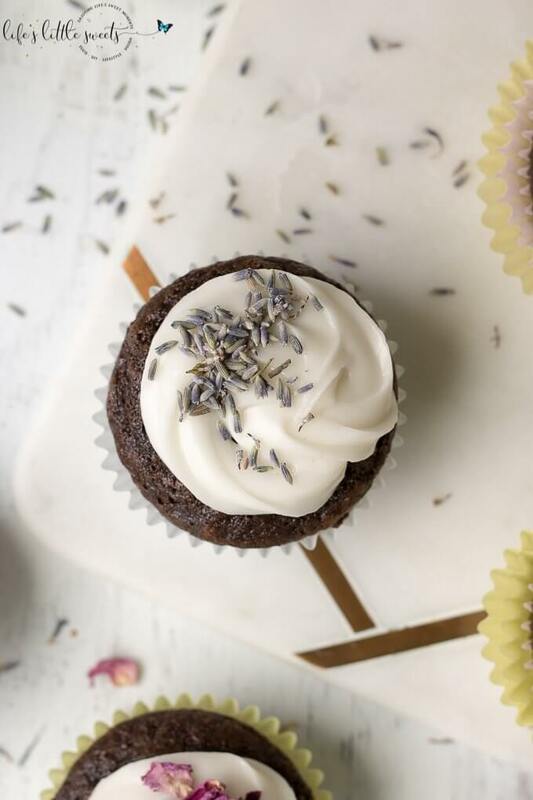 Using a large cookie scoop, scoop the batter into the cupcake liners. Make sure to fill the cupcake batter half-way (for 20 cupcakes) or 2/3 of the way in the cupcake liners. Bake for 20 minutes. Test for doneness using a knife or toothpick inserted into the center and it should come out clean. 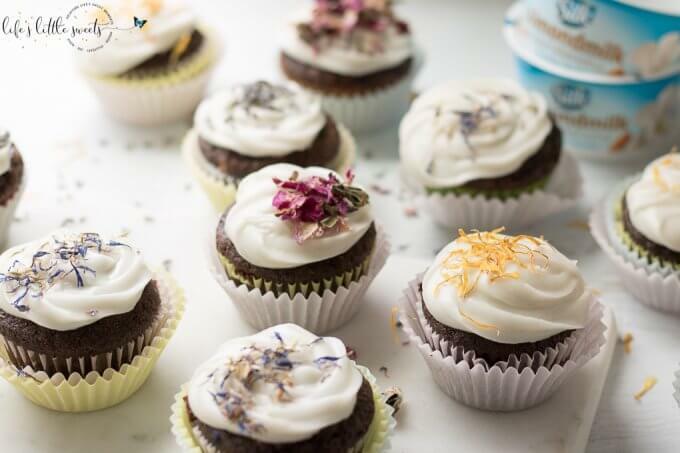 Remove cupcakes from the tin and cool completely on wire racks before frosting. 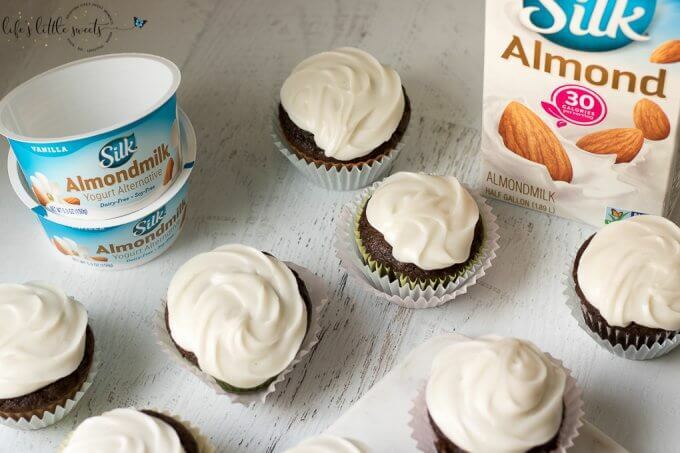 In a medium mixing bowl, add 4 cups confectioner's sugar and Silk Vanilla Almond Dairy – Free Yogurt Alternative and mix until combined. 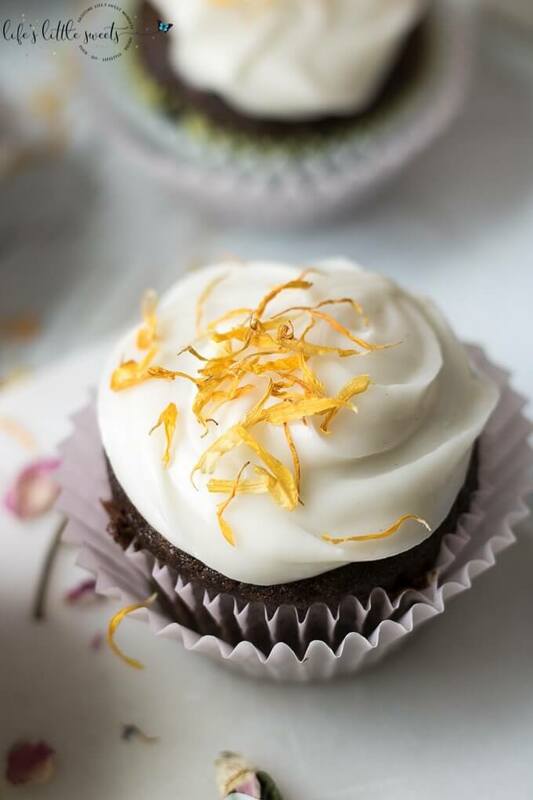 It you want to adjust the consistency of the frosting you can add more confectioner's sugar. Frost the cupcakes either with an offset spatula or you can bag it in a frosting bag and using a large star tip to frost the top of the cupcakes. 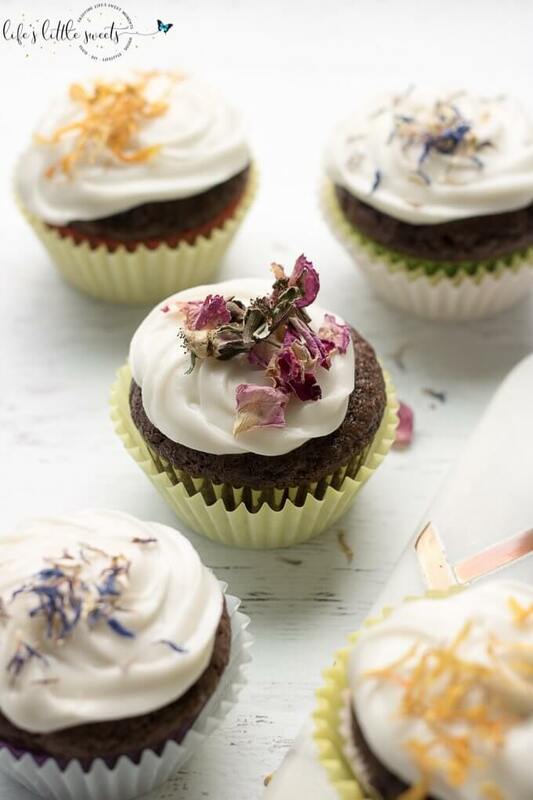 Sprinkle with food grade dried flowers, serve and enjoy!